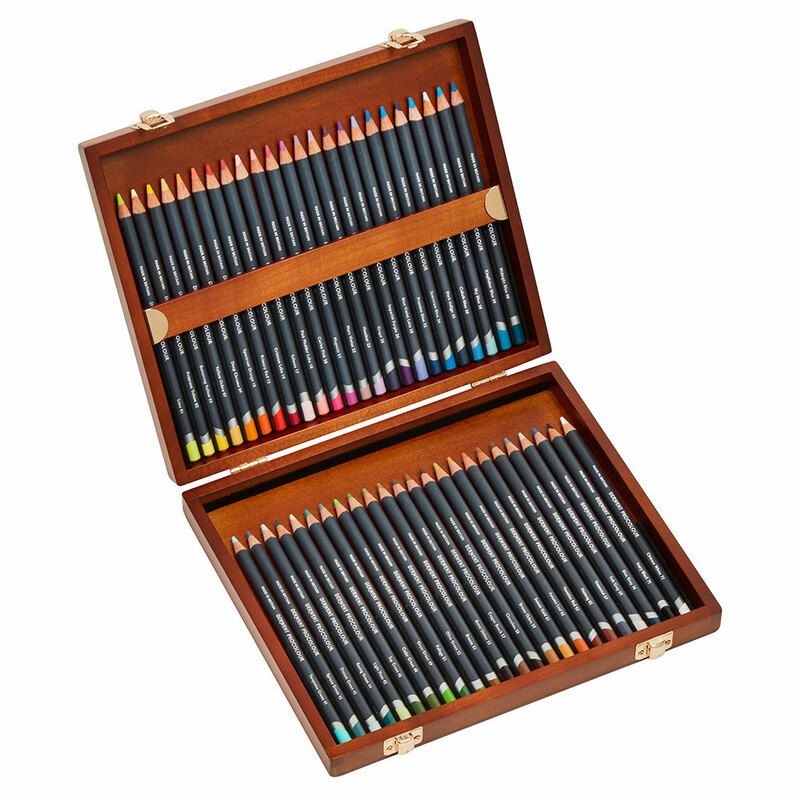 Now available in a set of 48 presented in a beautiful wooden case. To see the contents of this box, click the 'Colours' tab above. Lime, Primrose Yellow, Buttercup Yellow, Yellow Ochre, Deep Chrome, Spectrum Orange, Primary Red, Crimson Lake, Salmon, Pink Madder Lake, Cerisa Pink, Magenta, Mars Violet, Heather, Grape, Imperial Purple, Blue Violet Lake, Prussian Blue, Spectrum Blue, Dark Indigo, Cobalt Blue, Sky Blue, Kingfisher Blue, Midnight Blue, Turquoise Green, Spruce Green, Distant Green, Racing Green, Light Moss, Sap Green, Cedar Green, Grass Green, Foliage, Olive Green, Bronze, Burnt Umber, Copper Beech, Chocolate, Brown Ochre, Sunset Gold, Autumn Leaf, Venetian Red, Nutmeg, Gunmetal, Felt Grey, Blue Grey, Ivory Black, Chinese White.